The Dawn Jogger took a chance on the weather this morning and headed up to San Francisco for combined walk and day at ballpark to see the Giants play the Pirates with friend Gail from Transamerica days. She was right about one thing – the fog had burned off by the time she arrived. Finding a place to park near one of the new condos, she did a great up and back walk along the Embarcadero that measure a bit more than 5 miles. As it was early, she got a glimpse of the still empty park. 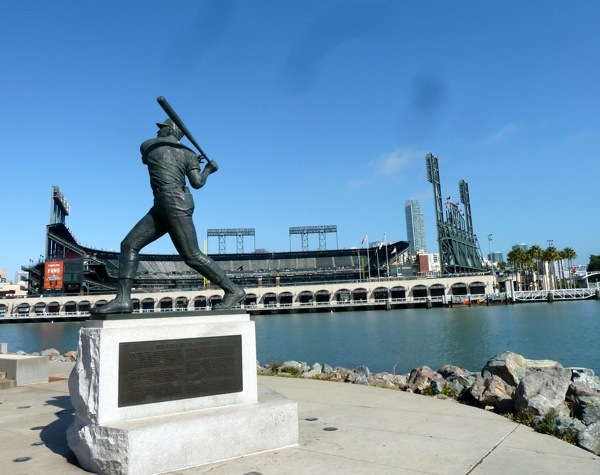 This entry was posted in Dawn jogging, SF Giants and tagged walking along the Embarcadero. Bookmark the permalink.